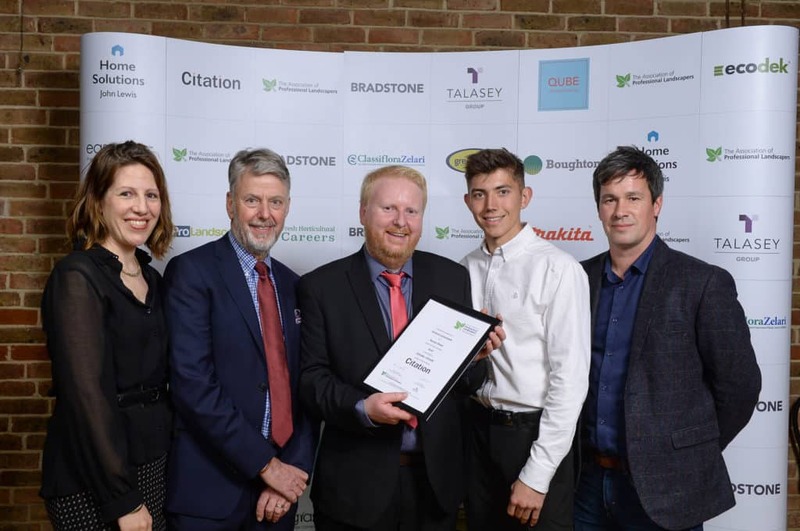 The Holland Landscapes Team are proud to have been given one of the top awards at the 2019 APL Awards. Here’s a little bit more about the winning garden. Ongar came home with bronze. This was a great project to work on. Not a very bit garden but the design fitted in some fabulous features. 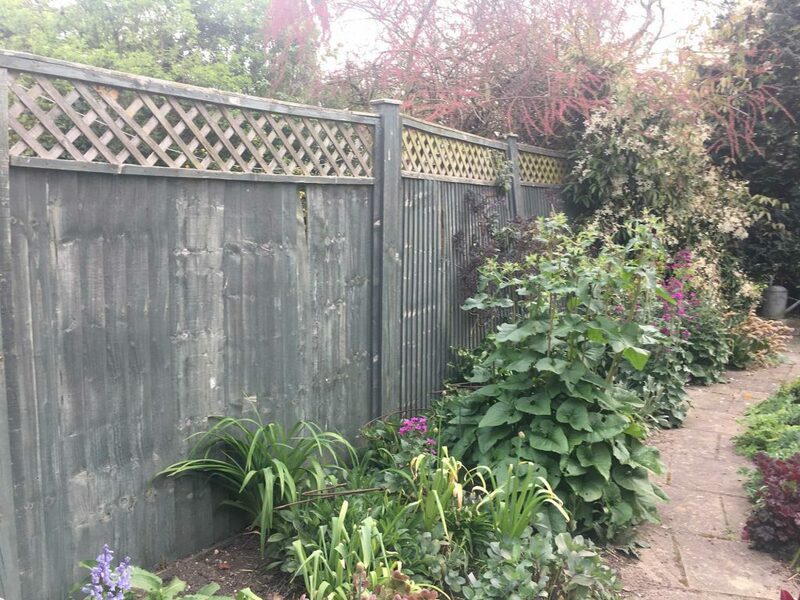 Colchester based garden designer Karen Chamberlain was invited to give this small garden a facelift. The garden before work began. 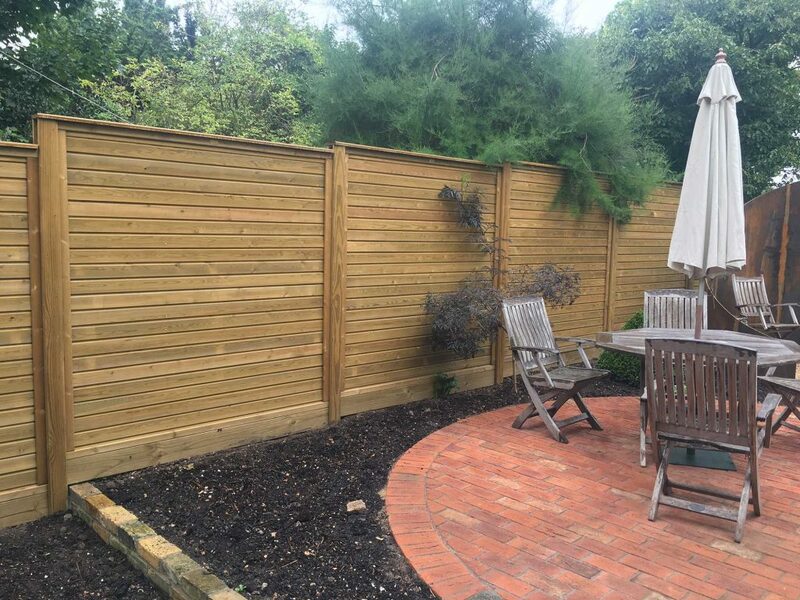 The clients clearly have green fingers but the lack of privacy was an issue and there is little room to sit and enjoy the space. 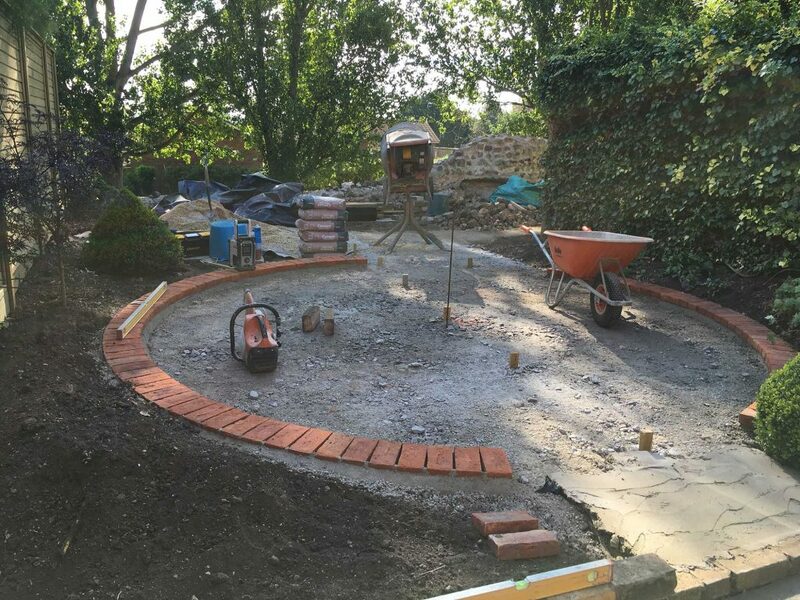 Karen has very cleverly used every part of this unusually shaped garden. We were lucky in that the client was open to experiment with different materials. Which is how we came to install this impressive cor-ten wall. The surface colour instantly brings a sense of maturity to the garden. It looks well maintained and ageless rather than shiny and new, which is exactly what the client ordered. The larger seating or entertainment area is a beautiful circle of red brick pavers. The colour was chosen to echo the brickwork on the property itself. 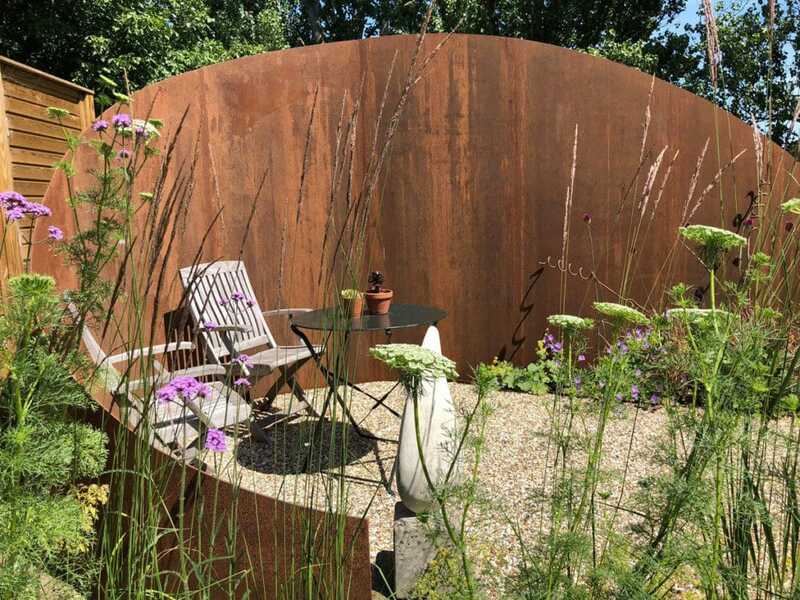 The cor-ten wall curves around to hug a smaller seating area which is also screened by soft, sensual planting to give a feeling of privacy and security. It’s a lovely sun trap and the perfect place to sit with a book. 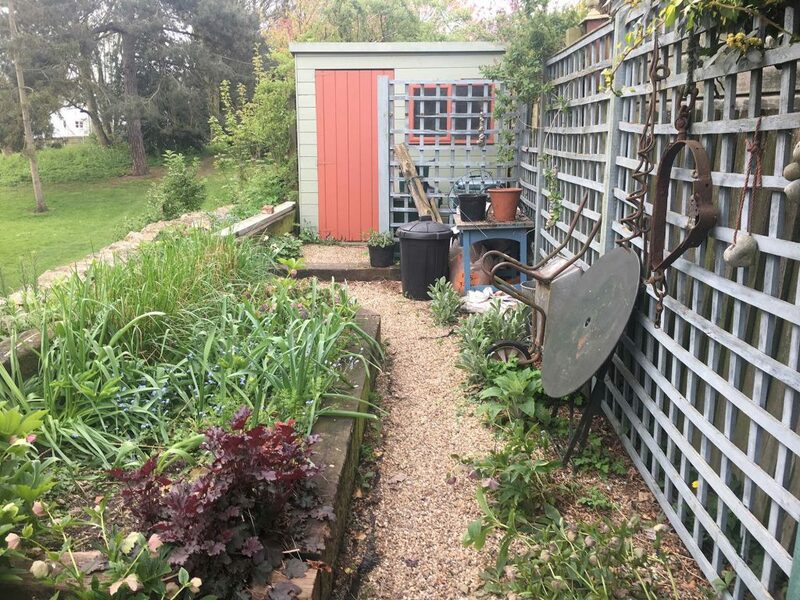 Finally the long, slim mini-garden which housed the shed, was transformed from an exposed and uninspiring trackway into an intriguing journey. 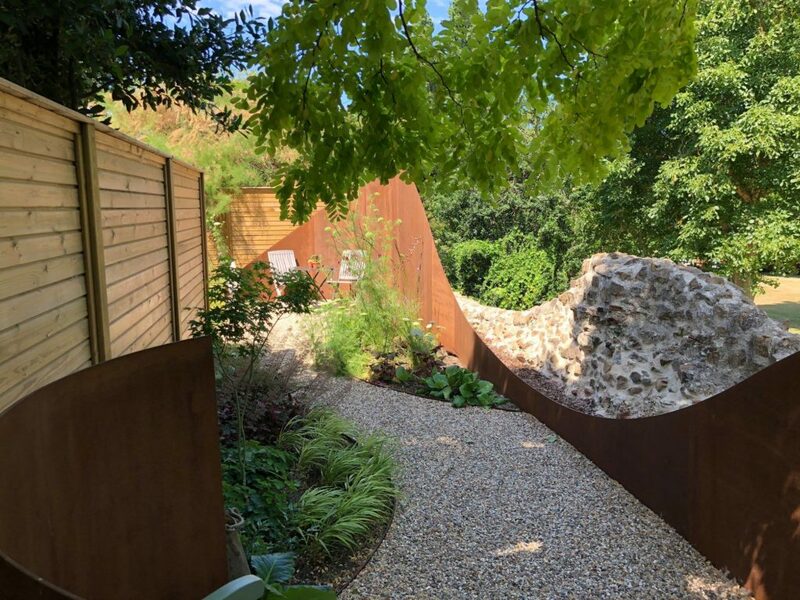 The curved cor-ten works beautifully with the profile of the Roman wall to improve privacy and change the tired, functional building into a destination. 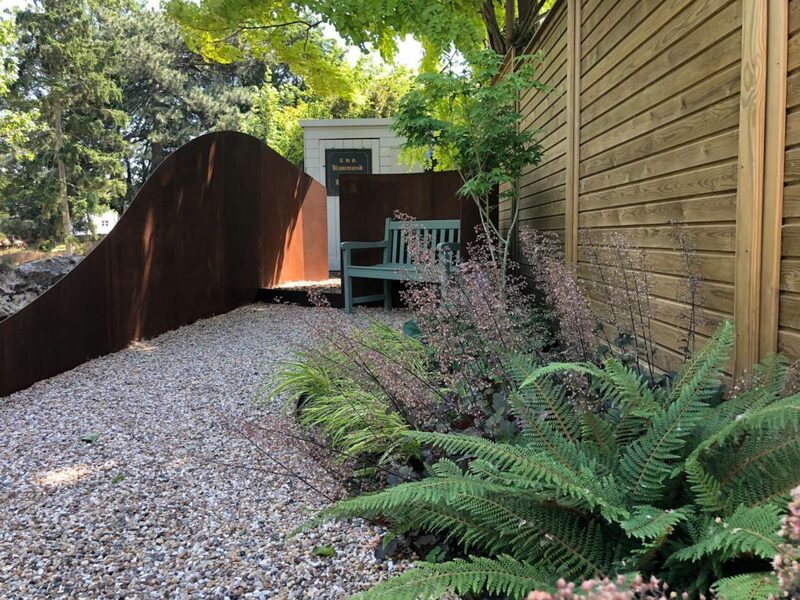 A two seater bench in the same gentle colour as the shed offers fine views of the Roman wall and into the landscape beyond. 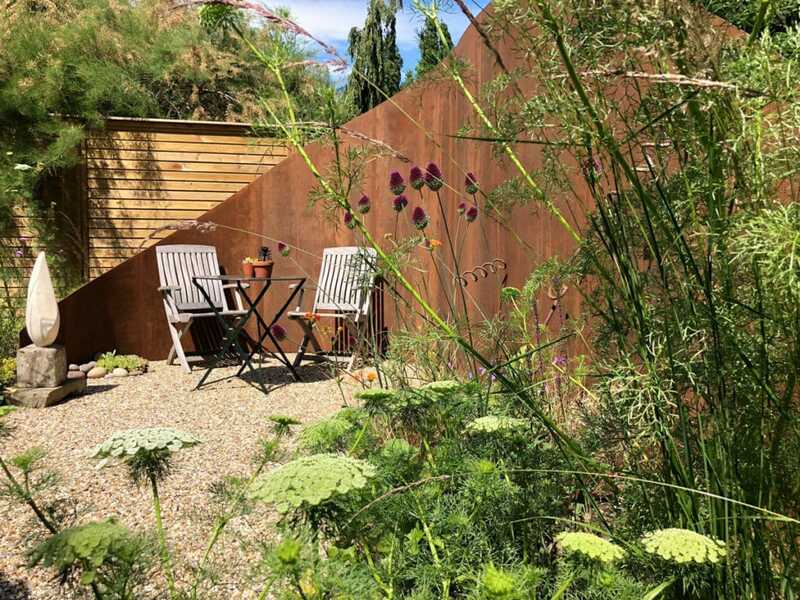 This gives a different perspective on the main body of the garden and invites the visitor to explore further. Planting is a mix of traditional and modern with strong use of bee-friendly flowers. As is typical of many gardens in mature properties, successive gardeners had added features over the years to improve small areas. However, as you can see from the “after” pictures, the garden is now fresh, modern, low maintenance and a truly restful sanctuary. As a landscaper, it’s great to have a new challenge. This is our first taste of working with Cor-ten steel and of course creating curves always needs more concentration than straight lines. 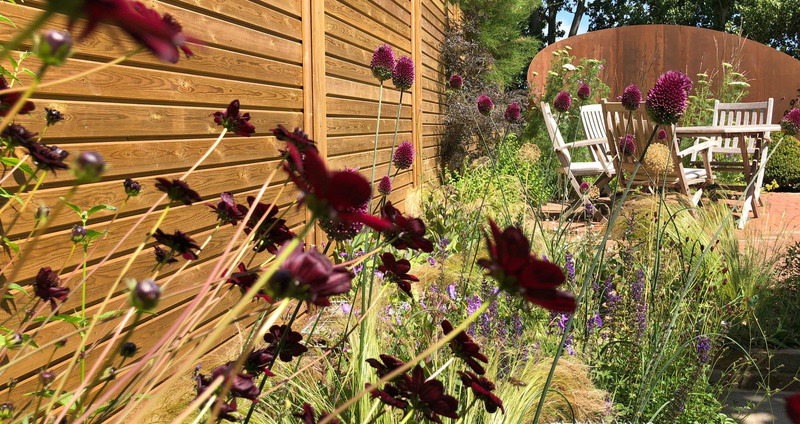 A big thankyou to Karen for inviting us to build this garden and a huge shout out to the Holland Landscapes team whose precision work earned us the Gold Award.